Canadian politics have been a bastion for pro-Israel sentiments for years. Here was Canada’s PM equating freedom and transcendental democracy with the Israeli struggle for land. That was then, and now, with a new PM, Canadian politics seem set on remaining staunchly pro-Israel. 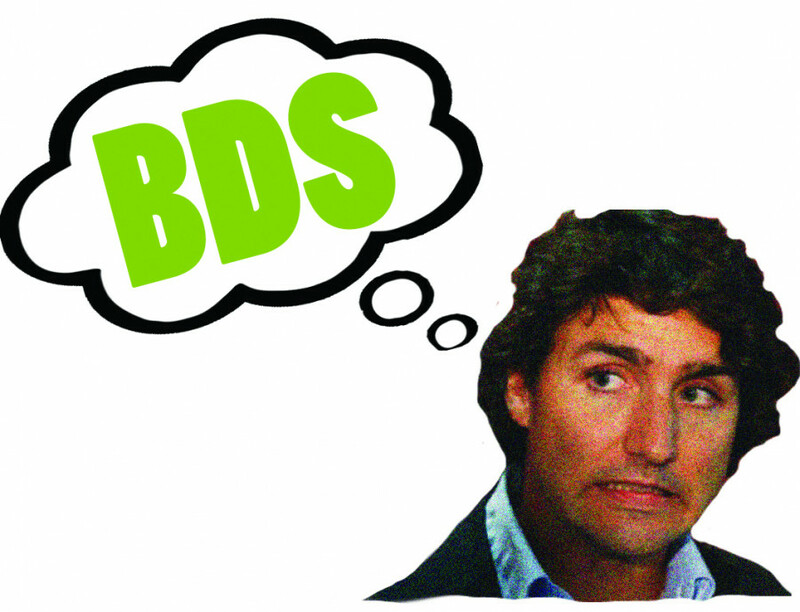 Back in March, in the wake of McGill’s tabling of Boycott, Divest and Sanction plans against Israel, Justin Trudeau released a tweet denouncing campus movements against Israel’s occupation. Trudeau ended his tweet with the hashtag #EnoughisEnough, a reference to an op-ed published in the Montreal Gazette and written by a group of McGill students. The piece came in the wake of student supporters of Solidarity for Palestinian Human Rights at McGill being ignored by way of an indefinite answer on BDS, and suggested that any campus endorsing BDS was inherently marginalizing not just the pro-Israel populace, but also the Jewish student body as a whole. The idea that supporting solidarity with Palestine is the same as supporting Jewish marginalization is a fallacy. For that reason, The Link stands with the Concordia Student Union’s mandate—voted on by students last year—to engage in BDS. Approximately five million Palestinians are presently eligible for refugee aid, according to the United Nations Relief and Works Agency. It is of primary import that we, as supporters of Palestinian human rights, rectify the false equation of Palestinian support and Jewish discrimination, to redirect the conversation away from bombastic rhetoric toward reality. The BDS Week organized by Solidarity for Palestinian Human Rights at Concordia is a way to initiate the international movement within the university: through education. By bringing in journalists, thinkers and witnesses of the events in Palestine to speak, Concordia students will have the opportunity to learn about a movement that is too often skewed by mainstream North American media. CNN’s coverage of the recent wave of violence has resorted to the usual rhetoric; headlines tend to frame Israel as the victim of fear and violence. While it’s true that Israeli civilians are being targeted by Palestinians, coverage by North American media outlets demonstrate a profound lack of dual perspective when reporting on the issue. Palestinian violence flares up, and so does the mainstream’s coverage of the conflict. But where are the headlines concerning IDF violence in the West Bank? It’s fair for the mainstream to cover the conflict, but it should not only become an issue when Palestinians are violent. Though CNN does not shy away from using the term “extremist” when covering Israeli settler attacks, it seems as though the media as a whole holds Palestinians to a much more lax standard when deciding what makes for newsworthy violence. Stabbings and rock throwings against Israelis are notable, but a settler has to burn a Palestinian child alive before it hits the headlines. Another example of this phenomenon is a demonstration earlier in October, which saw IDF soldiers kill six Palestinians. Al Jazeera stated point blank that undercover Israeli soldiers “infiltrated” the demo, partook in rock throwing and then helped arrest protesters. In The New York Times article, the story led with their deaths, but made no mention of possible incitement by undercover soldiers—not even an “allegedly” or “reportedly.” They focused instead on how PM Benjamin Netanyahu is losing his grip on Israeli security. It’s about time that the slanted, disproportionately harmful coverage of the Israeli occupation ceases, and allows for Palestinians to be seen as people with voices, rather than violent rioters and lowlifes. Hopefully, this BDS Week will provide the education to Concordia students that media outlets and our governing bodies are so lacking.